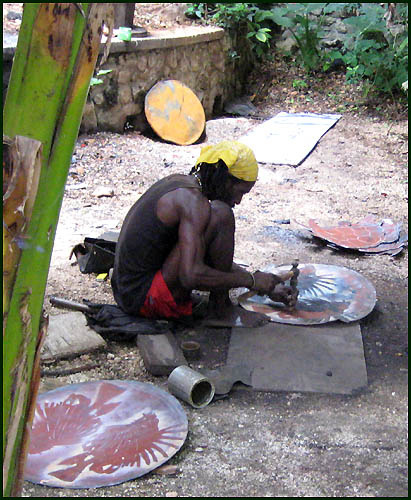 Unique decorative art, Hand crafted from recycled steel oil drums in Haiti. 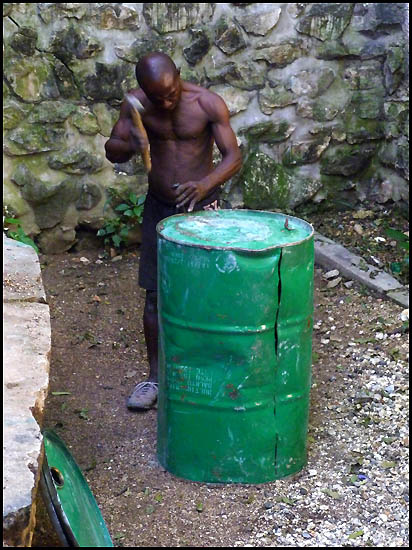 It all begins with a used 55 gallon steel drum. 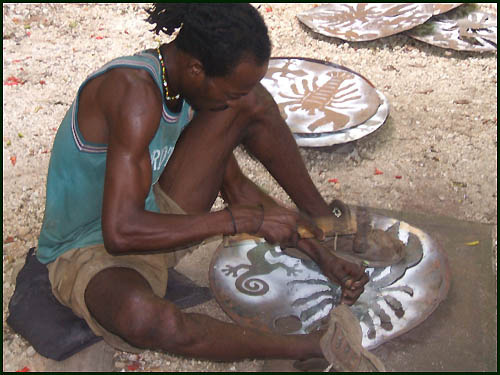 This drum is then recycled, by us, into a beautiful piece of tropical metal art for your home. 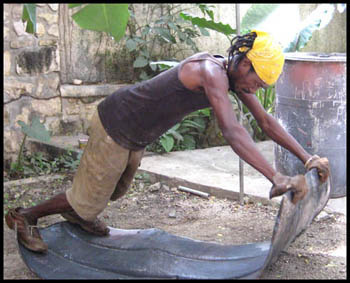 The top of the drum is taken off, using a hammer and chisel and it is split down the side. 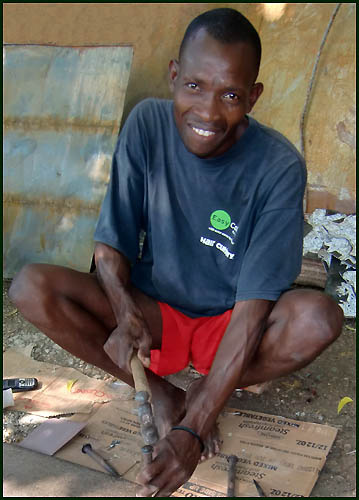 It is then stuffed with dried banana leaves, sugar cane or discarded cardboard and set on fire. 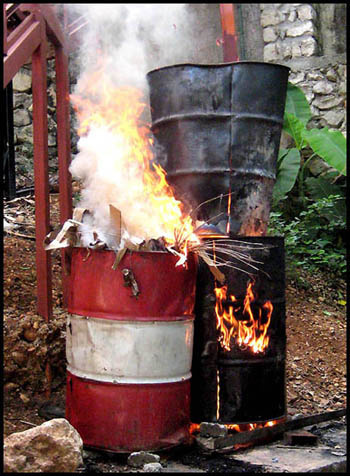 This removes all of the exterior paint and the residue inside the drum. It is then flattened. The pattern is drawn on and the artistic cutting begins. 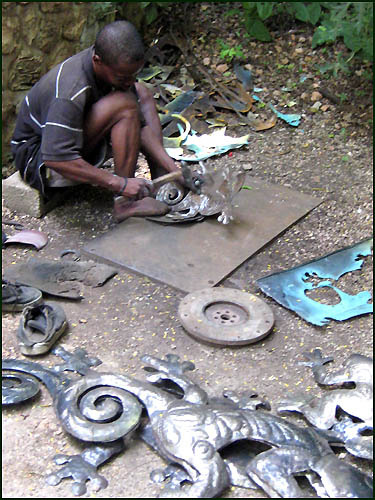 With hammer, chisel and a nail, the artists cuts the flattened metal into the desired shape. Parts of the design are pounded into concave or convex areas, giving it dimension. 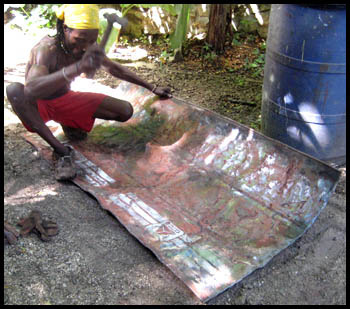 Prior to our painting artists work, a coat of a rust preventative is sprayed on each piece.... Then the artistic work begins.... 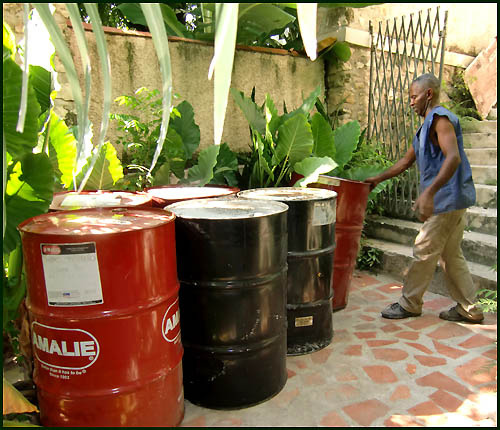 When completed, a coat of clear varnish is applied, giving you a beautiful, well protected work of tropical art for your home or patio.